Pink pearl necklaces are sophisticated pieces of jewellery that will enhance the natural beauty of any woman. They help to brighten up the complexion and are a great accessory to wear on their own or with a matching pair of pearl earrings. When you are thinking about choosing your necklace to take the following points into consideration. 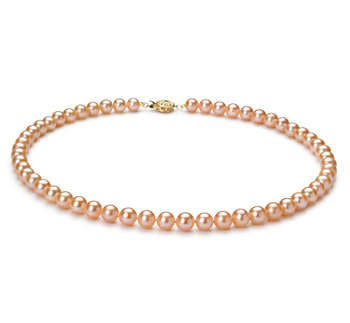 This is a once-in-a-lifetime gift, so even pale pink pearl necklaces will make the perfect accessory for any woman, whether she’s going to a party, to work or any other semi-formal event. When would be the best occasions for presenting such a gift? This is the perfect gift to present to your wife after you’ve been married for 30 years. 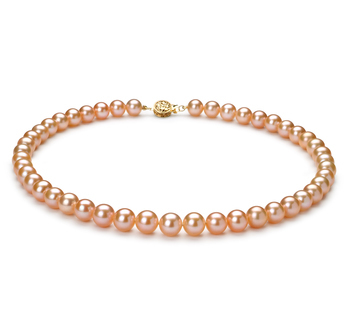 Along with marking such a happy event in your lives, a pink pearl necklace will make your wife feel like she is one of a kind, as these are the embodiment of luxury. 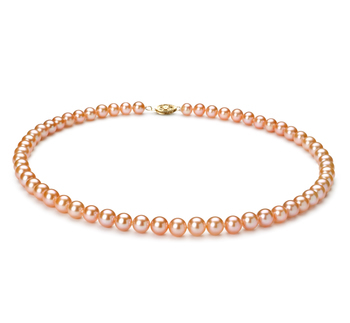 Pink pearl necklaces will go stunning with that little black dress she intends to wear when you take her out for a meal to celebrate such an important day in your lives together. This is such a thoughtful gift to present to someone who is very special in your life. Choose one of ours with a yellow gold clasp as it symbolizes timeless beauty and sophistication. These kinds of pink pearl jewellery can be worn time and time again as they look wonderful with various different outfits in your wife’s wardrobe. 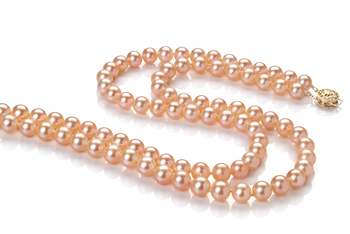 Any woman is going to appreciate being given a beautiful pink pearl necklace on their birthday. 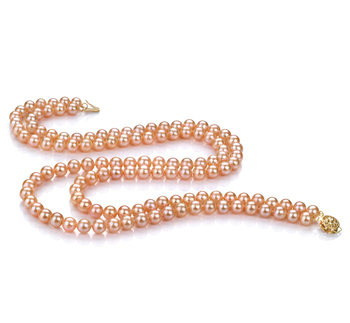 Pink Freshwater pearl necklaces are suitable for women of all ages and will help to emphasize their natural grace and elegance. In order to get the most out of pink pearl necklaces, the buyer must consider the size of the pearls used in creating such beautiful pieces of jewellery. 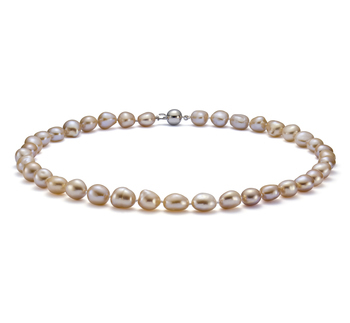 These are the size of pearls that can be worn on a daily basis and won’t look out of place when worn with casual wear or more formal business attire. 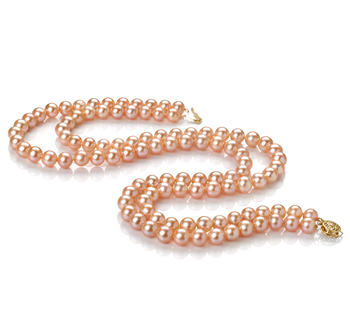 Pink pearl necklaces that contain these size pearls will look amazing when worn to more formal events or to a business meeting. They are daring, yet still, add a professional touch to the outfit. 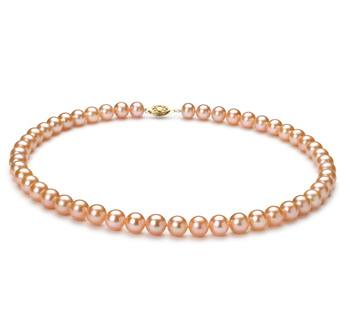 A strand of pink pearls will help to pull any outfit together in an instant. 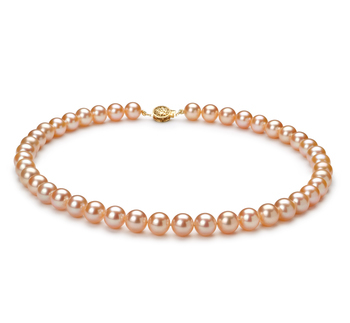 In order to get the most out of such pieces, you need to think about your own personal style when deciding what sort of pink pearl necklace to buy. Want a style of necklace that is versatile and won’t go out of style. 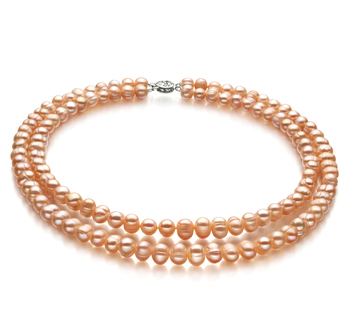 Then choose one of our pink pearl necklaces containing pearls between 6 and 7mm in size. Choose one that comes with a yellow gold clasp that can be worn during the day or when going out for the evening. 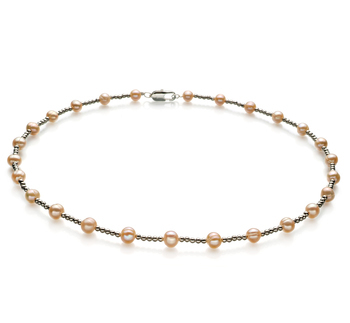 A modern woman who is always on the go will love wearing pale pink pearl necklaces with a silver clasp. The luster of the pearls in such a necklace speaks volumes about their refinement and glamor. 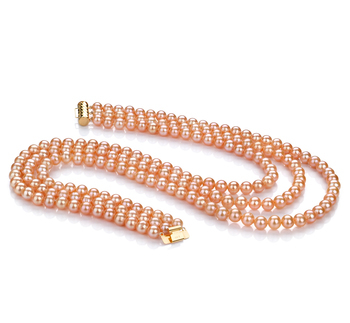 Women who tend to wear more casual comfortable clothing will love wearing one of our modern single strand pink pearl necklaces that have been combined with other semi-precious stones. 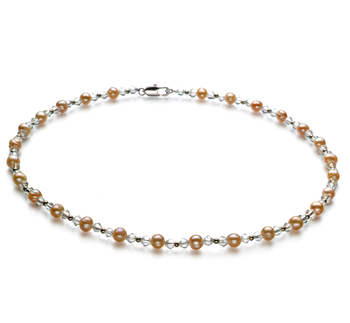 This style of necklace is also suitable for being given to younger women or teenagers. 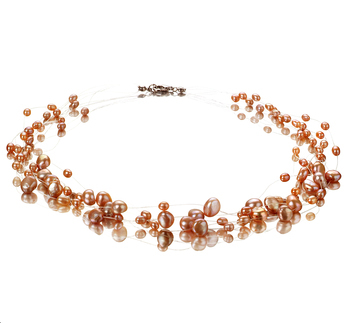 Rather than overwhelming an outfit, such necklaces will subtly enhance it.